With the explosion in mobile photography, it’s become critical for people be able to move back and forth between mobile and desktop environments with minimal friction. Bazaart, an iPhone photo collage app, brings such integration closer to reality with a new upgrade that connects directly with the desktop version of Photoshop for the Mac. 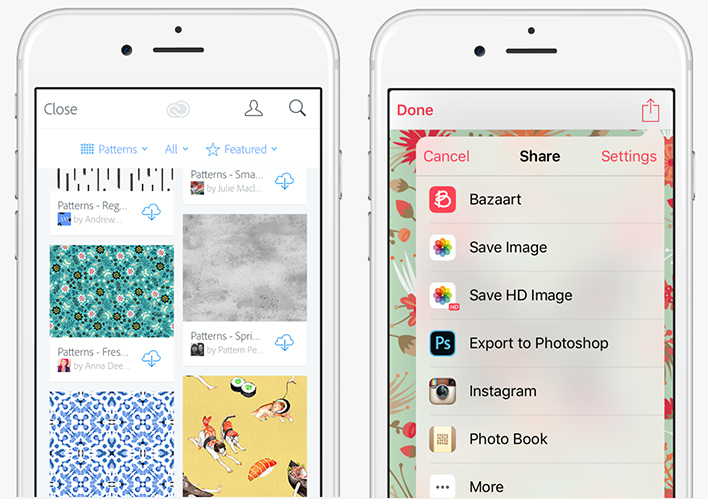 New import and export options let users easily switch between Bazaart on mobile and Photoshop on the desktop at will via your Creative Cloud account. Designed for an audience of photo enthusiasts, Bazaart makes compositing easy — you can remove the background from a photo manually or automatically and then move, scale and adjust photo layers as well as apply effects and add artwork and text. This means you can start a project with Photoshop while at the office, import it into Bazaart and then work on it while you’re riding home on the train. When you’re ready to get back to your desk, just export your work from Bazaart to Photoshop and the app opens up right on your desk to that very image. But wait — there’s more. Bazaart’s integration with Creative Cloud provides users free access to a huge number of patterns and vector artwork from the Adobe Creative Cloud Market. Adobe enables access to the Market for free, for a limited time, via the SDK. Bazaart facilitates the use of Creative Cloud Market items to people who are not subscribers. The first time you use any of the Creative Cloud integrations on Bazaart, you are required to sign-in/up for Creative Cloud. There is no fee and users are not required to purchase a plan. Other integrations (export/import from Photoshop while maintaining layers, allowing editing where you left off and accessing Creative Cloud assets) benefit people who already use Photoshop CC or are Creative Cloud subscribers. There are also sharing opportunities within Bazaart’s creative community of users. 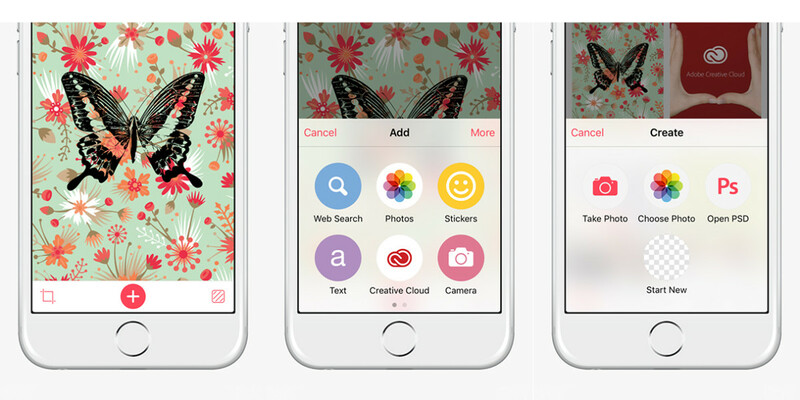 You can explore and remix collages made by others and learn how collages you like were made by tapping them to see the individual layers. All of that is in addition to an updated app interface with a redesigned menu, new built-in tutorials, and new crop and background tools. 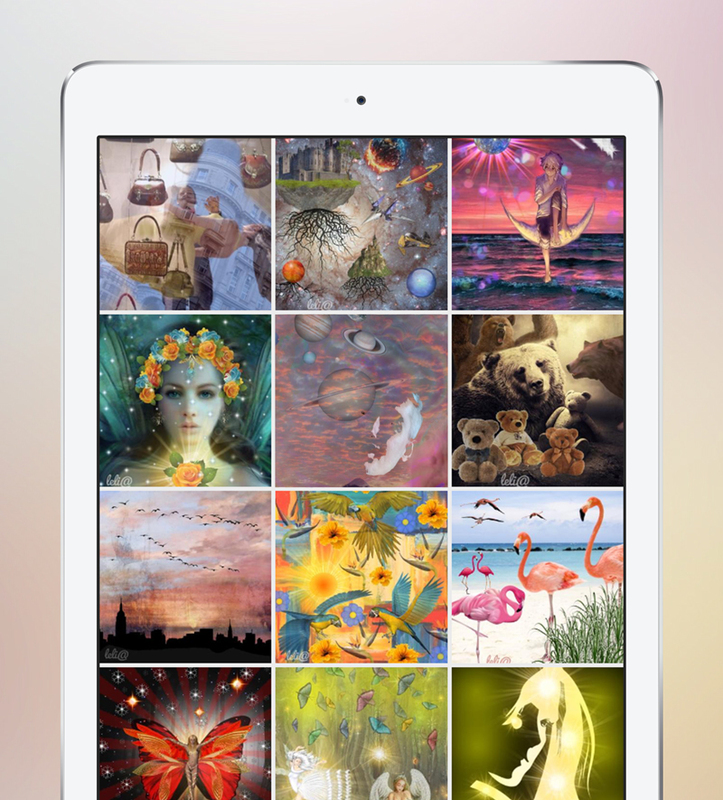 Bazaart is a universal app for the iPhone and iPad and the new version is available for free on the App Store. Read next: Excellent photo app Filters has been sold to Camera+, will live on!